Dogs and cats are woman’s best friend: Find out why! With the economy continuing to weigh heavily on American minds, where do women turn for companionship and support? To their pets, of course! A new FemiNation poll by Lifetime Networks shows that 89% of women ages 18 to 49 will spend as much or more on their dogs and cats in 2009 despite the economic downturn. Lifetime Networks recently released a survey on the relationship between women ages 18 to 49 and their pets. The poll’s findings revealed that 89% of women say they will spend the same amount or more on their furry friends in the next 12 months, while 24% plan on spending even more money. Need ideas for your dog or cat? SheKnows has some fun pet gift ideas! “In the past 10 years, we’ve seen spending on pets nearly double to about $40 billion per year,” says Alan Browdy of Lifetime Networks. “While we don’t have quantitative data on what is responsible for the increase, we know from our qualitative research that in these challenging economic times, women are seeking comfort and pets are a great source of comfort.” Browdy also reports that an additional societal development they’ve observed is that women are very comfortable with who they are – they no longer are trying to be a woman in a man’s world. They embrace their feminine qualities — they are proud to be nurturing, loving and patient. “These are all qualities that make women great pet owners,” he says. The survey also reveals one third of women put the needs of their pet ahead of their own. Given a choice between human or animal companionship on a deserted island, 13% opted for their pet… perhaps because 30% also said their pet is the best listener! Roughly seven out of 10 women between the ages of 18 and 49 own a pet (69%). Half of women pet owners own at least one dog (51%), and one-third own at least one cat (33%). Most women pet owners consider their pets to be members of their family (87%). More than half women pet owners (59%) would risk their lives for their pet. One in 10 of women pet owners have sacrificed a relationship for their pet (12%). More than one in four women pet owners put the needs of their pet ahead of their own (28%). The majority of women pet owners claim that they “always pamper their pets with the best products” (58%). In the past year, 81% of women pet owners have purchased their pets toys (66 percent), professional grooming (26%), organic food (22%), outfits (16%) and/or some type of spa service (4%). Among women pet owners, more than two-thirds buy their pets holiday or birthday presents (68%), one-third takes their pets on vacation (36%), and 20 percent dress their pets up. On average, women pet owners report having spent $160 on a gift for their pet (37% admit to having spent more than $100). More than one in 10 women pet owners would choose to have the companionship of their favorite pet over another human being if they were stranded on a deserted island (13%). 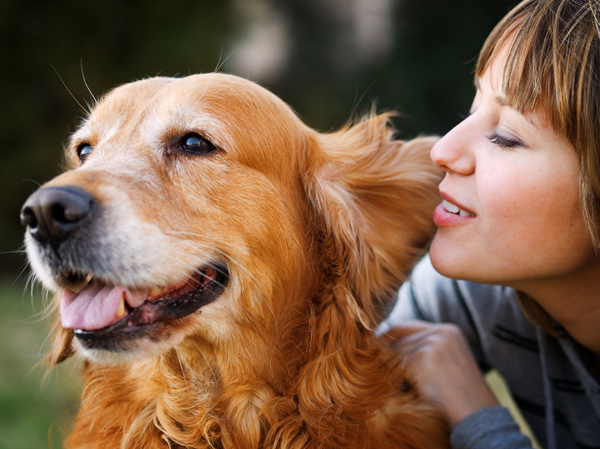 A third of women pet owners say that their favorite pet is the “best listener” (30%). Half of women pet owners let their pet sleep in their bed (49%).